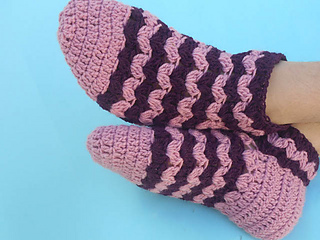 Those pair of socks are so quick and easy to make and more enjoyable to wear and keep your foot warm in the cold season.. My entire slippers pattern is different to each other. Every design are making in different colors and pattern. 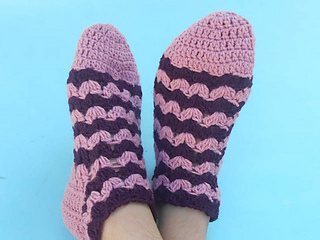 It’s got a little time to making, in a day you can make a different pairs with new pattern. It’s a very quick project, easy and simple design to making. I made them for my daughter with my own way, with video tutorial can help you learn on how to make those beautiful easy foot wear. Some time when we making things we are confuse to choosing the colors, as a designer” I think all of colors is best for the crocheting things, but the stitching is so fair and nice. 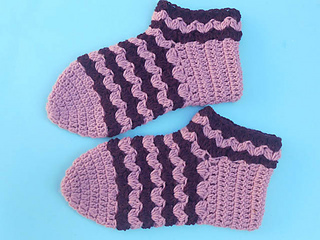 I always want to give you some pleasure in my easy crocheting projects, and glad to see you’re involving in my design.